Since 1956 social security benefits have been made available to adults and children who are disabled. According to the Social Security Administration, disability benefits were paid to more than 9.8 million people in 2011. Disabled workers accounted for the majority of beneficiaries however another 11 percent were spouses and disabled children eligible for social security benefits. In South Carolina about 6.3 percent of residents ages 18 to 64 received social security disability insurance coverage. Although millions of disabled individuals received benefits in 2011 it is also important to note that benefits were terminated for more than 650,000 disabled workers. Furthermore, each year millions of people apply for social security benefits and hundreds of thousands are denied. Navigating through qualifying factors and applications can be difficult and could cause an individual to be denied the benefits they deserve. At Harbin & Burnett our South Carolina Social Security Disability lawyers can help to guide you through the application and appeals process if your claim has been denied. Fill out the FREE CASE REVIEW form to your right for a no-cost, no-obligation review of your social security benefits claim its completely confidential. If you or a loved one has become disabled and are unable to work, you may qualify for benefits. 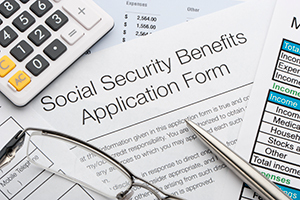 There are many different types of social security benefits available including benefits for children of deceased workers, retired workers, and family members of beneficiaries. Disabled worker benefits available to those covered by employment long enough to be insured who were then disabled on-the-job. Spousal support benefits for the spouse of a disabled worker who has a child under the age of 16, or a disabled child in their care, or if the spouse is over the age of 62. The divorced spouse of a disabled worker who was married to the beneficiary for at least ten years are also eligible. Children's benefits are available to minor children under the age of 18, disabled children under the age of 22, or high school students under the age of 19. Children under the age of 18 were the second biggest group of social security benefits recipients in 2011 followed closely by students between the ages of 18-19 with a disabled parent. Supplemental security income benefits are also available for aged, blind and disabled individuals with little to no income. These benefits are typically based on financial need rather than work history.